Most of the (traditional and recent) scholarship on antislavery in the United States focuses on two periods: 1/the Revolution, War of Independence and Founding when thousands of African-Americans were freed in the North and in the South and the institution of slavery was questioned 2/the decades between 1830 and 1860 when immediatists radicalized the antislavery movement by introducing new methods, goals and activists. My paper will argue that the period between 1815 and 1830, usually neglected by the historiography, is central to understanding the eventual move to immediatism. Both western expansion and the rise of colonization explain the evolution of antislavery. 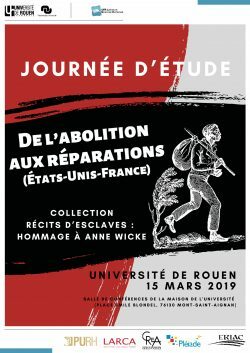 This paper will look at abolitionists’ fraught relationship with the law between the end of the eighteenth century and the passage of the Thirteenth Amendment abolishing slavery in the United States in 1865. From early slave codes defining enslaved persons as property and “black laws” restricting the rights of free African Americans to the Fugitive Slave Law of 1850 and the Dred Scott decision of 1857, slavery and the subjugation of black people were firmly entrenched in the U.S. legal system. How did first-wave and second-wave abolitionists confront and critique the law of slavery? Did they use “legal tactics” (Richard Newman) or on the contrary preach disobedience to unjust laws? In what ways were their speeches and writings pervaded by a “juridical rhetoric” (Jeannine Marie DeLombard)? In their fight against what Frederick Douglass called the “gross injustice” of slavery, abolitionists developed strategies that both relied on and subverted the law. Relying on their narratives, on some of Douglass’s essays and on the articles and correspondence published in their respective newspapers, this paper will attempt to provide a thorough understanding of the Douglass / Bibb rapport, especially by analyzing the various avatars of their alternately concurrent or rival discourses. First, special emphasis will be placed on the reasons and consequences of Douglass’s and Bibb’s engagement in two dissenting branches of the abolitionist movement (the American Anti-Slavery Society for the former and the American and Foreign Anti-Slavery Society for the latter), a divergence which laid the ground for the climactic 1849 “Bibles for Slaves campaign” controversy. Second, this paper will showcase the two men’s stances in the long-standing debate over African-American emigration as a solution to achieving “racial uplift” beyond American borders. 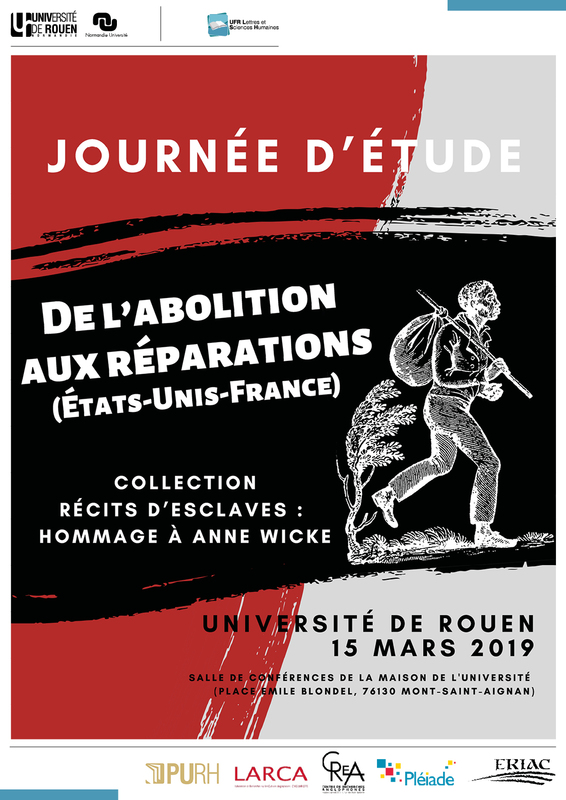 In an attempt to better understand the transnational nature of their anti-slavery activities, special attention will be devoted to delineating Douglass’s and Bibb’s experiences in the province of Canada West. On 5 July 1852 Frederick Douglass gave one of his most famous orations, one in which he expressed the balance between the horrors of slavery and the promises of American republicanism, as had been evolving in his mind for some time. Douglass had begun his abolitionist career as a Garrisonian critic of slavery’s constitution and an advocate of northern secession. And indeed in “What to the slave is the Fourth of July?” he trenchantly detailed the horrors of slavery, the domestic slave trade, the nationalization of the “peculiar institution”, and the hypocrisy of celebrating American democracy while supporting American slavery. Yet, precisely because of these details, this critique, and of Douglass’s own personal experience of enslavement, what is perhaps most striking about this oration is its optimism—a Whiggish optimism grounded in the ideals of America’s founders, in the egalitarian and libertarian principles of the Declaration of Independence and Constitution, and which he believed by this stage in his career foretold the end of enslavement. This paper thus shows how Douglass had moved himself into the mainstream of American politics by rhetorically moving abolitionism to the centre of American republicanism.